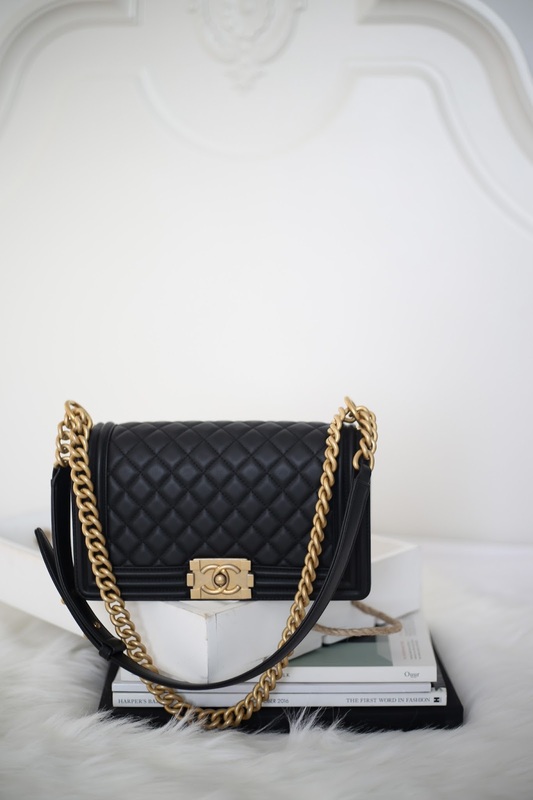 Introducing my second Chanel bag: Le Boy Old Medium, yes I know I just purchased my first Chanel bag less than three months ago. 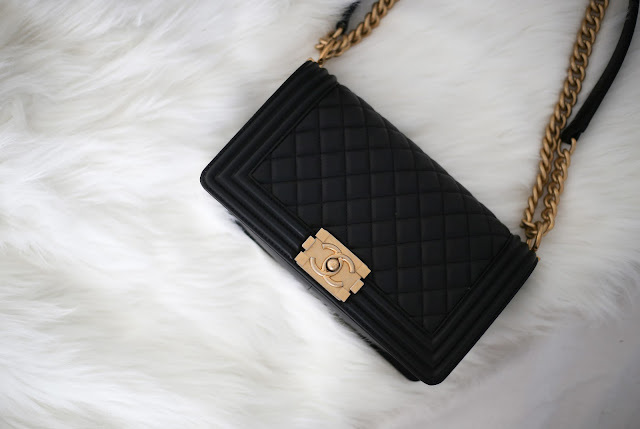 It was actually not my first Chanel bag, I have previously purchased a Chanel Wallet on Chain in lambskin, but I sold it after 2 months of purchasing it because it was impossible for me to take care of lambskin pieces, I am not gentle and careful with my bags. 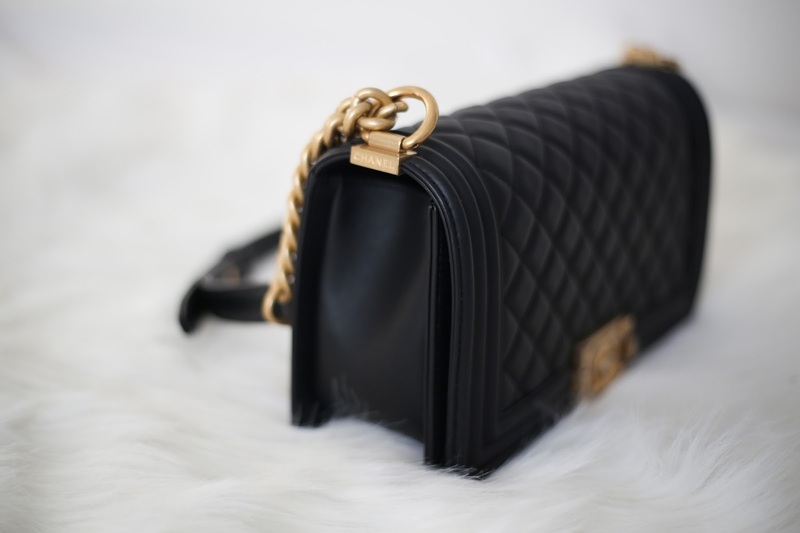 Yes, I know a lot people say that Lambskin is a lot more luxurious instead of Calfskin or Caviar, but since its more luxurious this means a lot more care is needed. Knowing me as a person, I am not good at taking care of things, especially bags. 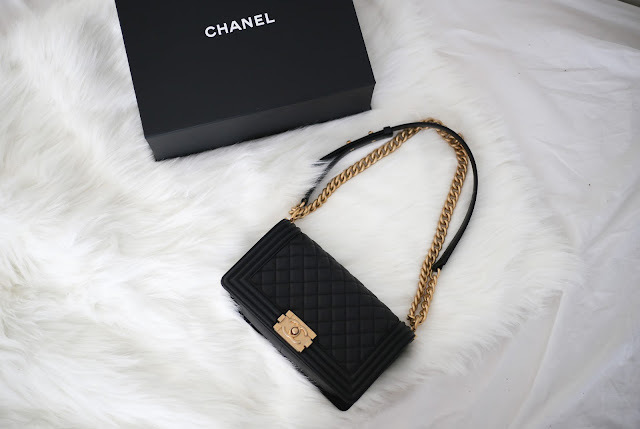 I toss them around a lot, I know some people purchase their bag and storage them very nicely and only wear it out on specially occasions, but I am not that type of person, I want to get my money worth out of my bags, so I wear them as much as I can, which ages the bag faster. So I stay away from all the lambskin pieces. 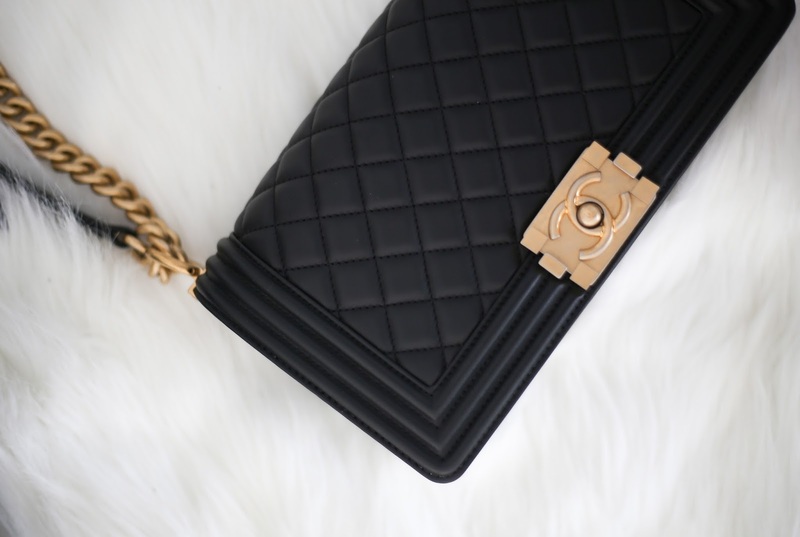 I learned from my VERY first Chanel bag purchase, I got myself a lambskin Wallet On Chain, probably one of my biggest bag regrets, within two weeks of wearing it, I got some noticeable nail scratches on it and the black colour was appearing to me to fade a little after use. I know Le Boy recently released their caviar style, but I personally think Le Boy style looks slight cheapen in value when its caviar. I like the classic smooth finish of Le Boy look in Calfskin or Lambskin. The sales at Chanel told me in terms of care, Calfskin is more durable in compare to lambskin but remain its luxurious finish. 1. 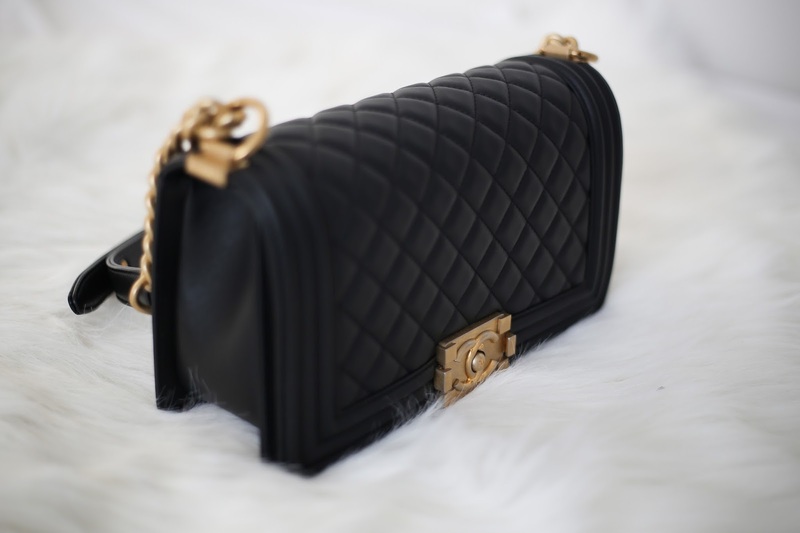 It is a more of relaxed every day style look in compared to the classic flap, which is more of the dressy look. 2. It can be dress up and down by playing about with the straps. 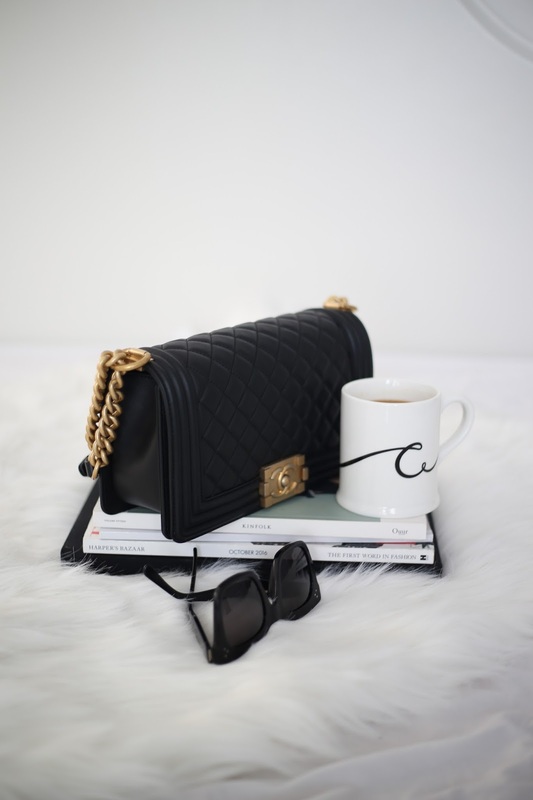 If you want dress it up, you can double it and use it as a handbag. For a everyday look, I like to wear it on one side or cross body. 3. You can wear it as a Crossbody bag! I am a sucker for any cross body bag, it just makes movement a lot more easier, especially in a busy city like Toronto. 4. 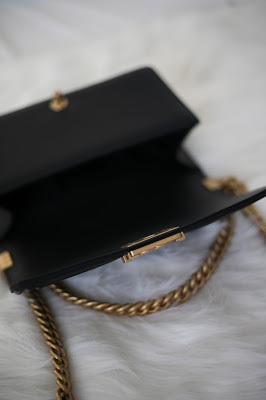 It is a matte gold hardware instead of shiny gold, I personally think shiny gold hardware for any bag appears to be very "in your face" look, which I do not like. 5. The lock: I love how you open and close it, very secure closure, so your stuff would not go missing. 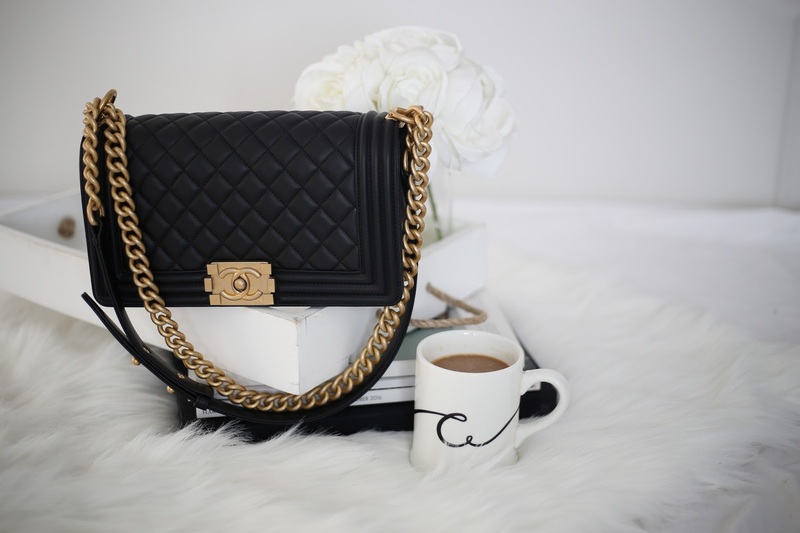 WHAT I DON'T LIKE ABOUT THIS BAG? 1. Yes, there are some cons of this bag. The interior was cheaply made for a Chanel piece, it is a single layered line interior, with a safety pocket inside and nothing else. 2. Due to the material of interior, affects the outer top part of the bag, where you open and close will start to form a noticeable line mark. 3. Slightly boxy look, yes I know it is the whole purpose of Le Boy bag look, but I tend to bump into a lot of things when I wear this bag, but got to hold it like its your baby. It may look like a spacious bag, but it doesn't fit as much as you imagined. 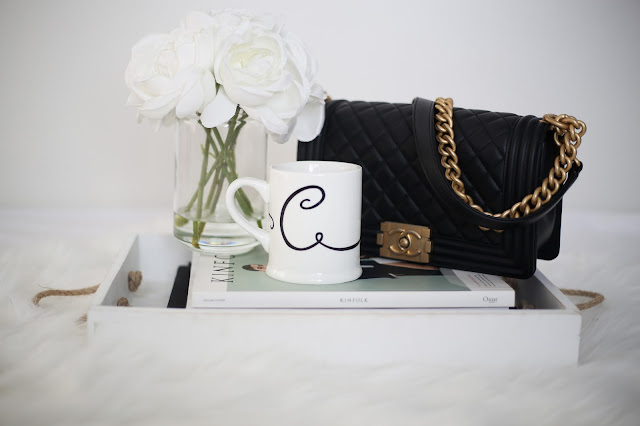 I typically put my Chanel coin wallet, a compact powder, a lipstick, a pair of sunglasses and my keys. That's literally how much it fits and there's not much room for anything else. 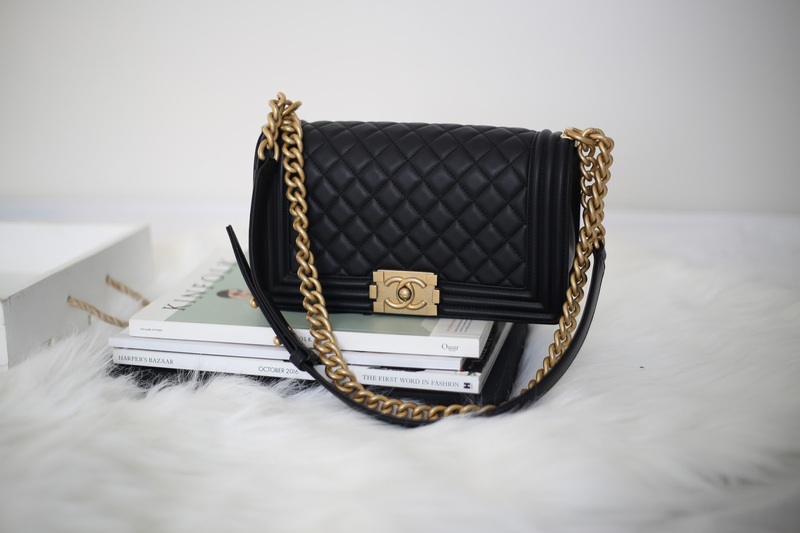 Will I be re-selling this bag? Definitely a Big NO. Do I regret this purchase? NOPE. This may be an impulsive purchase, but I think Le Boy bag is a stable in every designer bag collectors' must have. I've learned from my previous bag lessons to never buy bags that I will regret later. 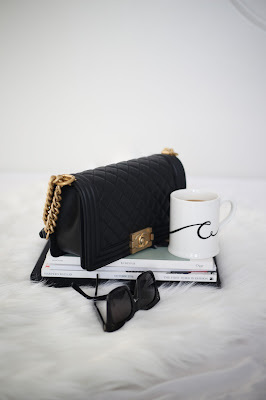 I actually worn this bag out a lot since I purchased it, definitely getting my money worth. 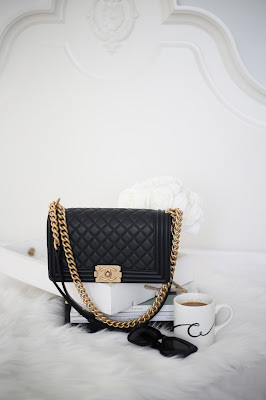 Welcoming this new Chanel bag to my bag collection, happy to have it! What do you think I should get next?